From 1994 to 2004, I worked in the Mekong Region, first in Vietnam and later on in a regional role from Bangkok. In 2004, I moved to Switzerland, and I lost contact with colleagues in this part of the world. 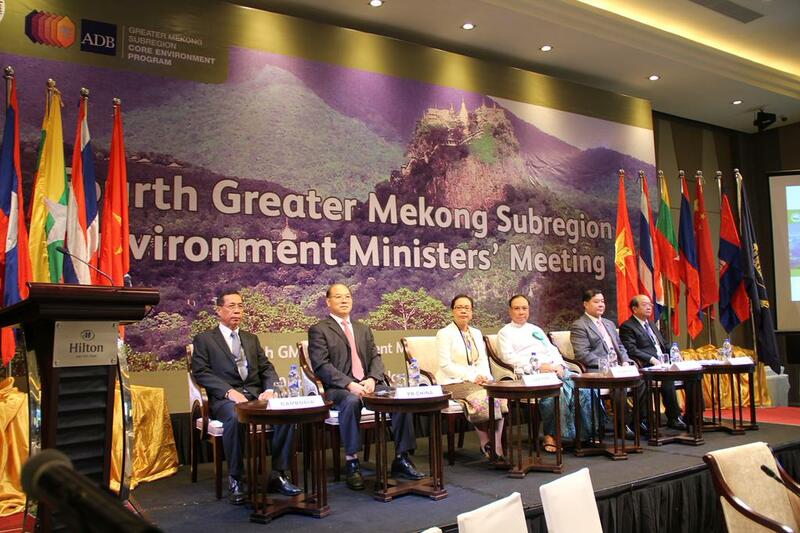 For the past days, I have attended the 4th Environment Ministers Meeting (EMM4) of the Greater Mekong Sub-region (GMS), organised by the Asian Development Bank (ADB), and I re-connected with many old friends and colleagues. Very nice to be back in the Mekong catchment! EMM4 took place in Nay Pyi Taw, Myanmar, and it heralded the tenth anniversary of the ADB GMS Core Environment Programme. The environment programme was established during the first EMM in Shanghai in 2005, and further enhanced during EMM2 in Vientiane in 20008 and EMM3 in Phnom Penh in 2011. 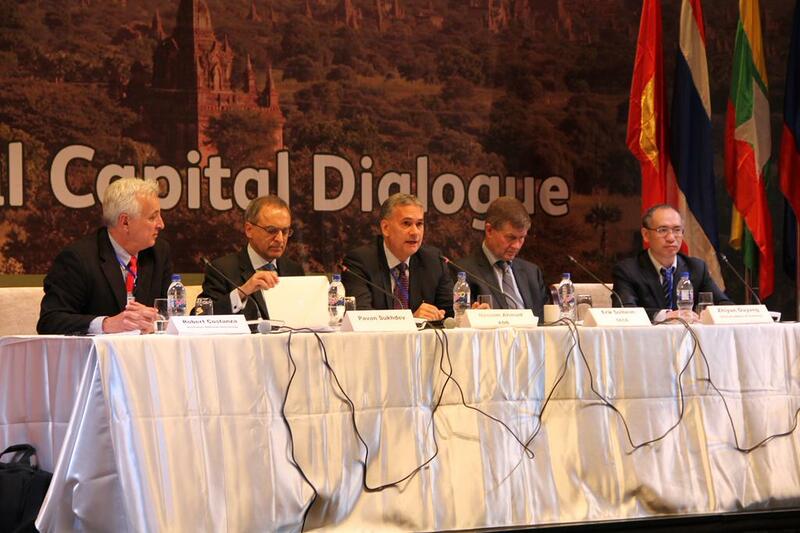 EMM4 focused on natural capital, and the second day of the meeting was a full day Natural Capital Dialogue. 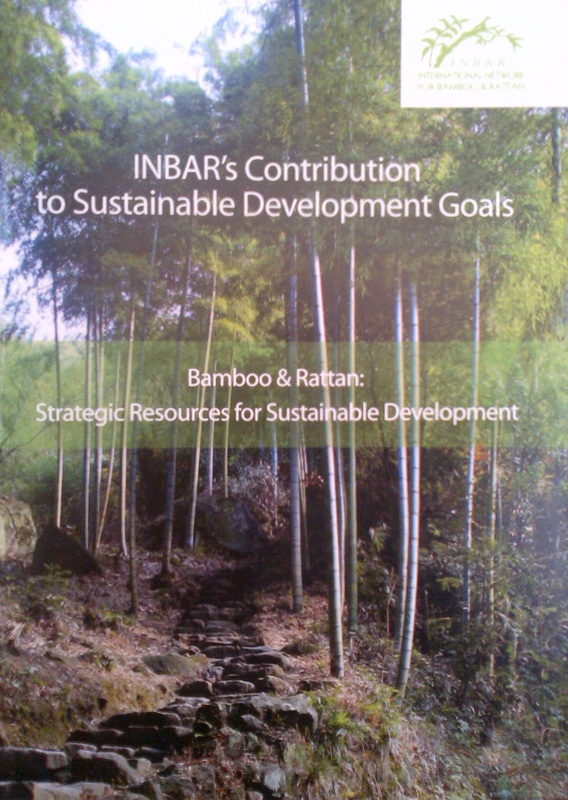 I was happy to attend, as bamboo is a very good example of natural capital! The first day included a Natural Capital Business Forum, where I spoke about bamboo and rattan in the working group on sustainable value chains. My presentation focused on the substantial opportunities for development of bamboo and rattan in the GMS. 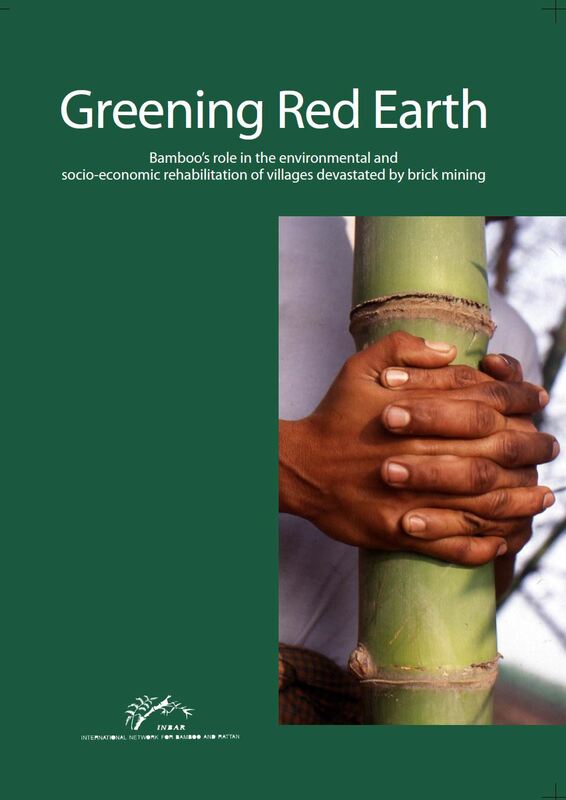 The plants occur naturally in this sub-region, but the potential socio-economic benefits and ecosystem services provided by bamboo and rattan are not yet fully appreciated. We had several representatives from small enterprises, mainly working with rattan handicrafts, but no medium or large scale business leaders. The forum agreed that technology transfer is important, capacity building is needed, and further assessment of the benefits and values of bamboo and rattan is critical. There are also obvious opportunities for land restoration and possibilities for further economic development. The main message during the plenary discussions was the need to recognise natural capital at all levels, expressed amongst others by Pavan Sukdev, formerly of the TEEB initiative and Erik Solheim, Chair of the OECD Development Assistance Committee. James Nugent, ADB Director-General of the Southeast Asia Department made a statement that economic growth in the GMS has to some extend taken place at the cost of natural resources. He stressed the interest and willingness of the ADB to work with the governments in the region to avoid continued depletion of natural resources, which will be an opportunity for collaboration with INBAR. Myanmar Vice-President Dr Sai Mouk Kham reflected in his opening speech on the landscape around the beautiful pagodas of Bagan. I have not visited the site, but this Wikimedia photo shows the beauty of the area. This cultural heritage area with tens of pagodas is nowadays a landscape with small bushes and agricultural fields, but historical records talk about extensive forests and wildlife. Dr Kham explained that the trees were cut to provide fuel for the kilns that made the bricks for the cultural relics. So the creation of these majestic cultural structures resulted in depletion of the natural resources. This reminded me of discussions I had in Hue City in Vietnam many years ago. 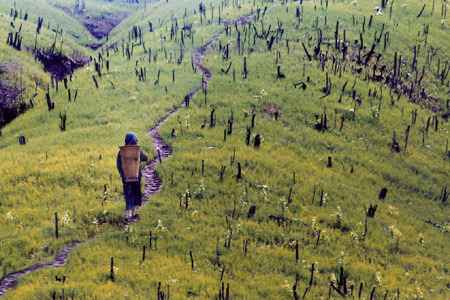 The uplands of Thua Thien Hue province were barren, and I was not aware of the reason for these degraded lands. The provincial Director of Environment explained that the trees that once covered the hills around Hue were cut to provide the building material for the palaces and temples of the imperial city of Hue. Smaller bushes were subsequently used by local people as fuel-wood. 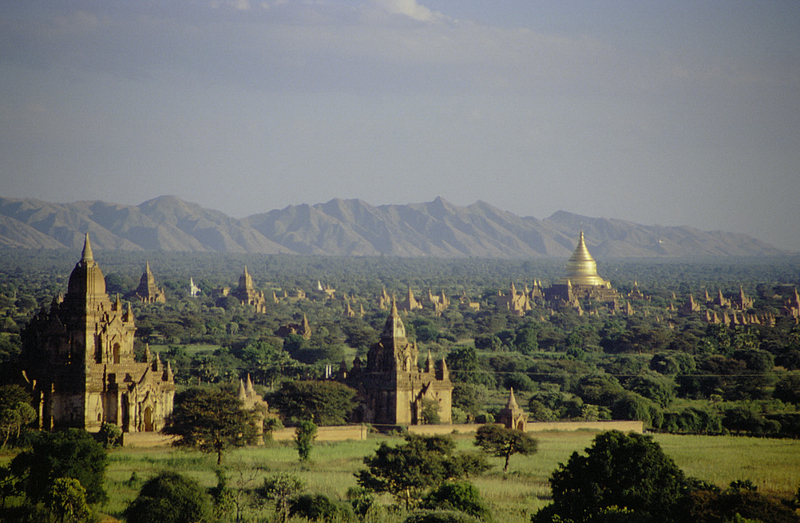 The story of Bagan also made me think of the INBAR film about land restoration in central India – Greening Red Earth. This is a story about an area that was devastated after many years of brick making, and when the brick industry collapsed the local people were destitute. Now, after nearly 20 years of work, the area is a lush, productive agro-forestry system, and that is mainly due to the introduction of bamboo as a pioneer species. These three examples are a lesson for the future, and illustrate why it is so important to consider natural resources in development strategies and plans. Unsustainable development will result in depletion of natural resources, but the loss of natural resources will eventually lead to problems for the local people. Could bamboo and rattan help to avoid such natural disasters? Bamboo can help restore degraded land, and it could provide a renewable source of energy, but not all bamboo species will grow everywhere. Bamboo is not a solution to all our development challenges, but bamboo and rattan should be included in agro-forestry systems and in green development strategies. They may not solve our problems, but they can help address major challenges, as explained in a recent INBAR publication.